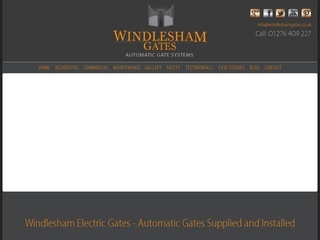 Electric Gates supplied and installed by Windlesham Gates throughout London, Surrey, Hampshire and Berkshire. Automatic gates should only be installed by qualified engineers trained to fit gates that comply with current legislation.engineers. Our team of installers are approved by CAME, BFT, GATE SAFE and DHF. These organisations ensure we deliver quality work that meets strict safety regulations. Call us today for a free, no obiligation, quotation.